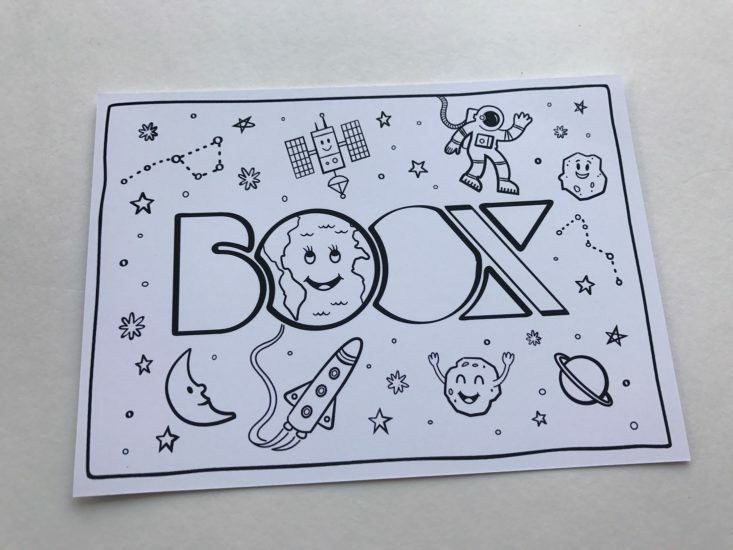 Boox is a bi-monthly picture book subscription box for kids curated by Powell’s independent bookstore in Portland, Oregon. An info card was included listing each item in the box and the reverse side of the card was a space scene coloring page. This book is awesome! Such a fun and engaging way to teach my kids about the history of the Earth. They loved how the illustrations and text were interesting without being too detail-oriented or intimidating. This is the kind of book that gets young kids really excited about nonfiction. I can’t wait to bring this book to school and share it with my students and classroom teachers. Boox does a great job selecting two books each month that fit a theme without being too matchy-matchy. Oh No, Astro! stars a cranky asteroid who’s been knocked off his orbit by a satellite and is now unhappily hurtling towards space. The book does have some facts about space but is mostly a silly read aloud with some adventure and laughs. My kids enjoyed the book very much. This toy is like a small flashlight. When you turn it on it projects a moon-like image on the wall or ceiling. It works best in a dark area and the moon is pretty realistic in appearance. My son has been enjoying using it at bedtime in his room. We love getting stickers in our subscription boxes. If they’re Glow in the Dark, that’s even better! The stickers fully illuminated in the dark and featured space shuttles, alien spaceships, and shooting stars. Included this month was an activity sheet that went along with Earth! My First 4.54 Billion Years. One side was a maze and the reverse had a connect-the-dot dinosaur. Verdict: Boox hasn’t let us down yet! We loved both space-themed book selections this month and the extras. The value this month is about $45 which is well over the cost of the box ($35.95 a month with free shipping in the US). We love Boox’s thoughtful book selections and their themed curation every two months. I highly recommend this delightful subscription, my kids love it and so do I. Check out all of our Boox reviews and the Book Subscription Box Directory! What do you think of Boox? 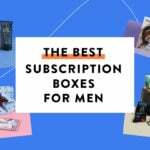 How do subscribers rate Boox? Do you subscribe to Boox? Add your rating now! I’m so upset I missed this box!